There are songs which have undoubtedly made you tap your steering wheel, made you sing loudly in traffic, wondering what the drivers next to you might have thought, yet not caring that much; all after having turned the volume dial to a level that would have been totally unacceptable to your gran, should she have been sitting next to you. Radio of Yesterday – A Blast from Past! 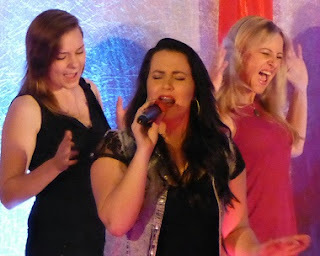 has four performances – March 31 and April 1 and again on April 7 and 8 - at the New Germany Sports Club. The show will start at 20h00, with doors opening at 19h00. Tickets R80 and there is a cash bar. Patrons are welcome to bring food, but there is also a restaurant at the Club. There will be secure parking at the bowls entrance.